The things fountain pens have been used for! 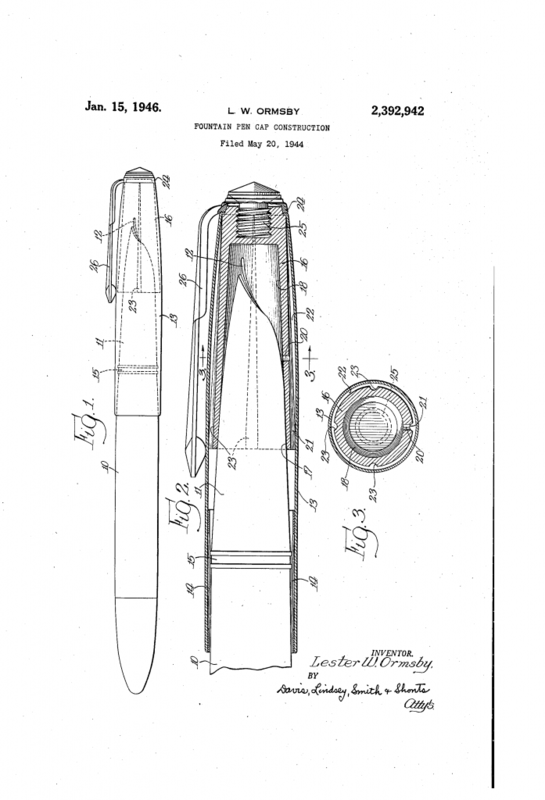 There was the Waterman 20s during the prohibition era, but the fountain pen pistol patent shows some really creative thinking. 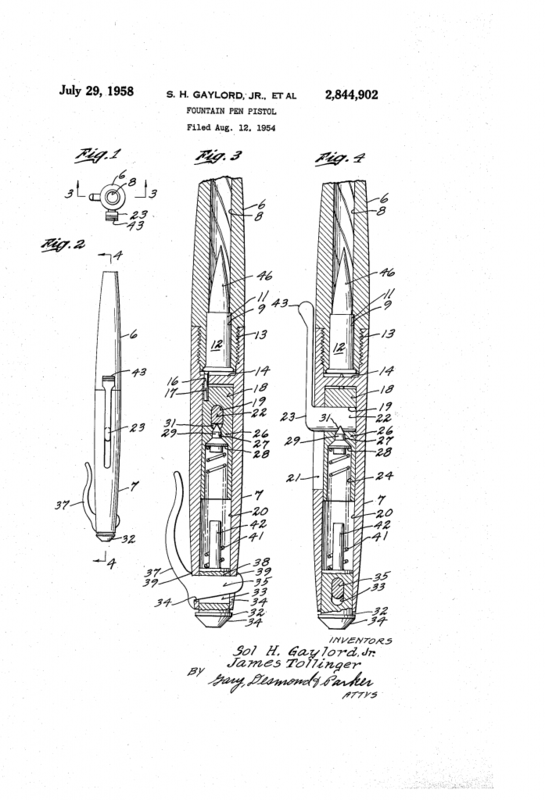 This patent was filed for Gaylord Products Inc. in 1954. This was a single shot pistol, designed to be easy to assemble, disassemble, to clean, maintain, operate, and to be reliable in use.